The GENIE Portable Bluetooth Speaker from DreamWave Audio supports the voice assistant service on your phone, such as Amazon Alexa, Google Now, Siri, and Cortana. A multi-function button on the side launches the voice assistant software on the paired device, and also acts as a volume control. 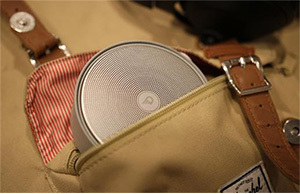 The speaker can run for up to 24 hours on a single charge and has a play time of up to 10 hours. 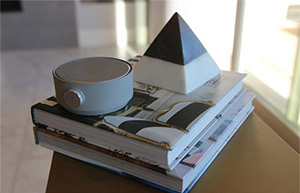 You can use the GENIE speaker to take and make hands-free calls, listen to and control your favorite music and playlists with 360° omni-directional sound.